Forget about WI-FI and sweaty gyms! 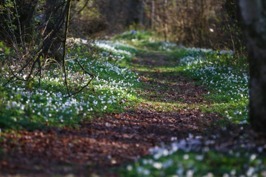 In nature, you will get birdsong, wildlife and fresh air. 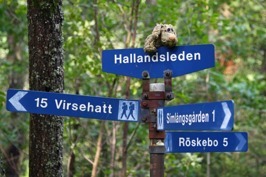 In Simlångsdalen, everyone can find a hiking trail with the appropriate length and difficulty. Destination Simlångsdalen's hiking trails offer leisure strolls and full day trips to discover the heart of Halland's wilderness! 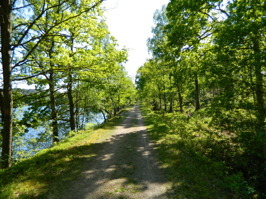 Bolmenbanan is a bike and hiking trail between Halmstad, to the west, and Bolmen, to the east. This old railway track was used from 1889 until 1966 to transport forest products, that to that point had been transported by ox and horse transport to Halmstad. Today, the old railway is a trail for bikes, horses and hikers. Skedala forest is a popular hiking area west of Simlångsdalen. 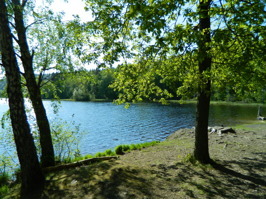 Park at Lake Torvsjön and choose between trails of varying difficulty and character. Experience the wilderness among beautiful lakes and troll-like forests. There are several outdoor grills where you can bring along and enjoy your own food. 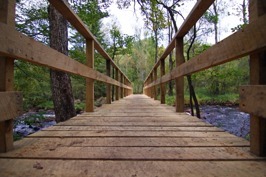 Do you want to discover the wilderness of Halland but not have to worry about planning, food and accommodation? Then join us on one of our hiking tours! The packages include great food, accommodation in a cozy cottage and all the planning. Choose between different lengths!